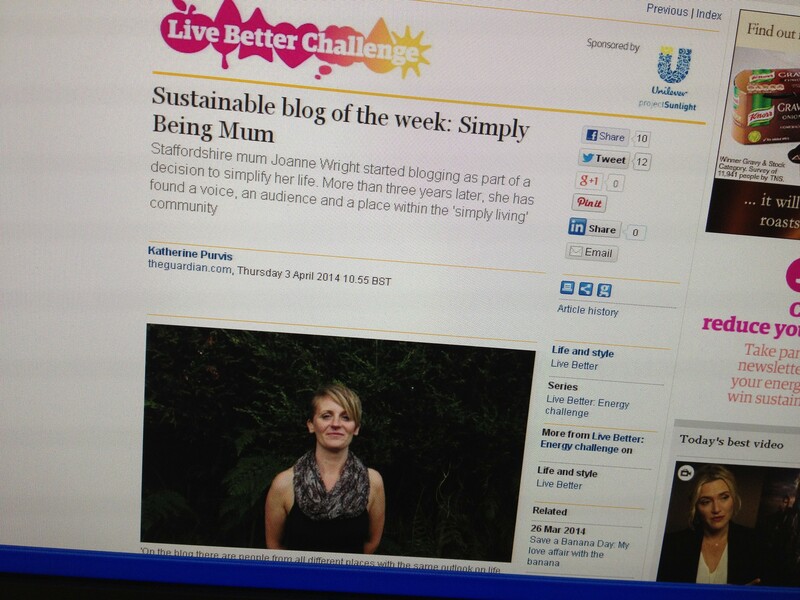 Okay I am over the shock of seeing myself over at The Guardian Live Better Campaign. When I started blogging in October 2010, there was no destination in mind. No plan. I’d started on a journey toward a family life simply done the previous April. But you know this, I’ve told the story countless times before. I love every minute. Even the minutes when I become paralysed with fear than I have over-shared. Or as Dr Brene Brown would describe it…when I develop a vulnerability hangover. This is all starting to sound like a rather labourious thank you speech at an awards ceremony. Nope, not an award in sight. But I’m feeling very honoured. If you’ve got 5 minutes to spare, please do go take a look. By the way…It’s Friday…you know what that means! Congrats, Joanne – good for you! Recognition well-deserved, Jo! Good write up. Previous post: No Waste Tastes Great / How Do You Save A Banana?